Shogun 2 Battle Map Editor out now. The Creative Assembly have stealthily released a battlefield editor for their excellent, but until now uneditable, wargame Shogun 2. 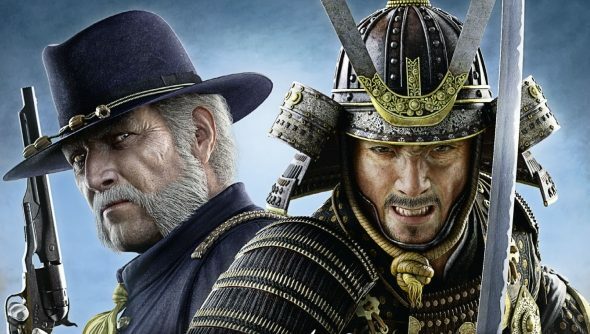 The editor enables Creative’s creative fans to build and share maps for both Total War – Shogun 2 and its expansion pack Fall of the Samurai, from inside the game. To grab it now you need only head to the Tools section of Steam and start downloading “Total War – Shogun 2 TEd” (sic). If you own the game the editor, which includes all the props from both games, will easily allow you to sculpt a battlefield. Those hoping for a campaign editor will be let down: this is simply a terrain editor, and the cloak-and-dagger machinations of the meta-game are untouchable.